If you’re a winemaker in northwest Spain, intent on discovering near-forgotten vineyards planted with indigenous grapes like godello, it helps to have a friend on the frontier. 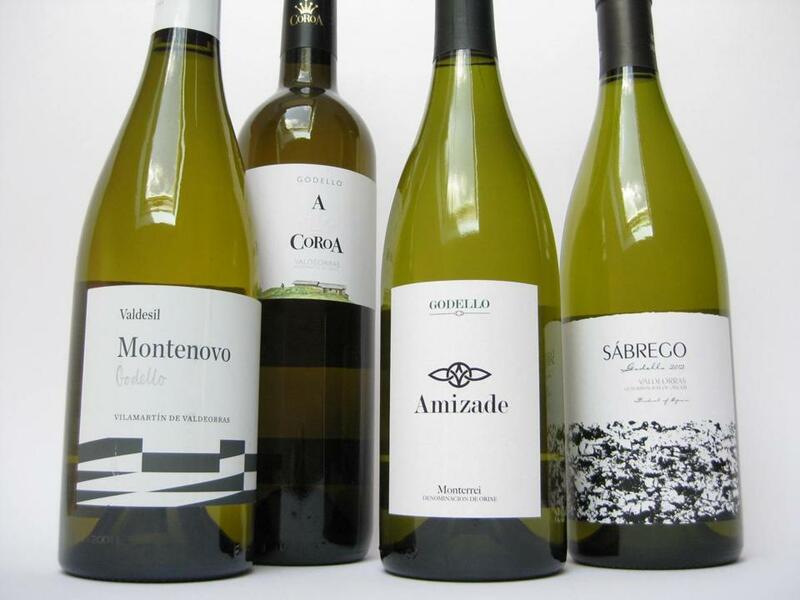 Gerardo Mendez, owner and winemaker at Do Ferreiro, located in the Spanish coastal region of Rias Baixas in Galicia, was already well-known for his albarino when he set out to explore new territory. His friend, Toni Mendez, whose family owns a century-old vineyard in Monterrei, a remote region on Galicia’s southern border with Portugal, was happy to help. (Toni Mendez, no relation to Gerardo, also leads his wine region’s regulatory council.) The pair, eager to explore the potential of this vineyard, collaborated to produce a white wine they call “Amizade.” The name means friendship in the Galician dialect, and the results are impressive. Their wine shows what a grape called godello can do. Godello (pronounced “go-DAY-oh”) is a traditional Spanish white varietal enjoying a revival. Rescued from near-extinction in the 1970s, godello is coming into its own. Skilled producers know how to coax the best from this varietal, which can succumb to disease in the wet conditions of this lush, green part of the country. Taming yields is also key to vines producing quality over quantity. Winemaker Angel Lopez, who makes a lovely godello called A Coroa, cultivates the lowest yields per acre in Valdeorras, a sub-region of Galicia known for godello wines. Valdeorras means “valley of gold,” a reference to Romans who mined the area for the precious metal more than 2,000 years ago. Mountains to the west protect the steeply terraced vineyards from weather blowing in from the Atlantic. Producers swear by the slate soil for which Valdeorras is known. A bottle called “Montenovo,” made by producer Valdesil, offers flinty notes that could bring to mind slate. Another producer, winemaker Rafael Palacios, produces a bottle called “Sabrego,” named for the granitic soils on which he cultivates his godello grapes. Because the godello grape is rather neutral and can produce wines that offer pleasing weight, it is often likened to chardonnay. But godello is really its own grape, with a distinct identity in the glass. While the freshness of apples and citrus are present from the first sip, these dry whites emphasize minerality. Some bottles suggest notes of freshly dug earth while others offer a flinty, graphite edge. Bracing, juicy acidity is the unifying feature of these pours, along with an unmistakable bitterness and hit of saline in just the right amounts. It’s no wonder these wines are lively partners with food. We frequently order a glass of godello at Spanish restaurants to accompany pulpo a la Gallega, a dish of Galician octopus, doused with fruity olive oil, paprika, and dusted with crunchy flakes of sea salt. But we’ll gladly pair this splendid white with just about any shellfish or fin fish we can think of, as well as semi-hard aged cheeses like provolone piccante, or pasta tossed with a bright herb pesto. Fortunately, you need not travel to the hinterlands to find these stellar wines. Just be prepared for friends to arrive when they hear it’s godello you’re pouring. Apple and citrus peel present themselves beneath aromas of garden soil, flint, and blanched nuts. On the palate, fruit is secondary to minerality, with a spine of bracing tartness, bitter herbs, and sea breeze-like salinity. Around $18. At Shubie’s, Marblehead, 781-631-0149; Marty’s Fine Wines, Newton, 617-332-1230. A Coroa Godello 2012 This inviting, elegant expression of godello offers scents of green apple, pear, and plenty of citrusy spritz. Palate is tart with bitter almond and green herbal notes, with ripe, carefully handled fruit beneath. Around $22. At Central Bottle Wine + Provisions, Cambridge, 617-225-0040; Social Wines, South Boston, 617-268-2974. Amizade Godello 2011 This fresh and aromatic pour conveys wet stones and garden soil, inviting a sip infused with apple, pear, and citrus, edged with attractive bitterness. This smoothly textured offering is marked by tangy tartness and pleasing weight. Around $15. At Dave’s Fresh Pasta, Somerville, 617-623-0867; Formaggio Kitchen, Cambridge, 617-354-4750. Rafael Palacios “Sabrego” Godello 2012 Beguiling aromas of citrus zest and pith fold around blanched almond and a touch of wet stoniness. Minerality and acidity combine for an expressive palate, with details like green herbs and saline. Around $17. At Shubie’s; Brix Wine Shop, South End, 617-542-2749.